The Beaver Scout Colony is the first section in the Scouting family. Young people can join Beaver Scouts in the three months leading up to their sixth birthday. They move to the next Section, Cub Scouts, around their 8th birthday. Easily recognised by their distinctive turquoise sweatshirts. Beaver Scouts enjoy making friends, helping others, playing games, experience adventures and going on trips. They even go on short camping trips and sleepovers, as well as taking part in wider Group Events. Meet on Thursdays from 6.15 to 7.30 pm at Melksham Scout Hall. 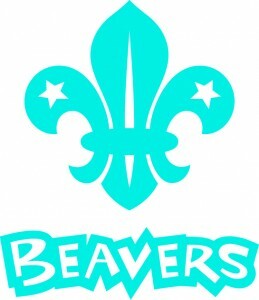 As well as regular day trips, Beavers at Melksham are typically offered at least two “nights away” experiences each year, these will be for one or two nights at a time. One of these is usually Group Camp, where the Beavers join the Cubs and Scouts for a night at camp. The other will typically be an indoor sleepover for each colony, which might be held at our hall or elsewhere.